“To Look Good is to FEEL Good.” Come, visit our warm, friendly and comfortable dispensary. 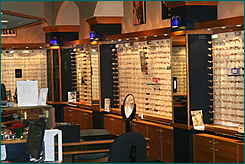 Our optical team is staffed with licensed opticians with over 100 years of combined optical experience. Allow them to educate you and expertly choose the right frames and lenses best suited to meet your needs. We specialize in customer service and complete patient satisfaction. 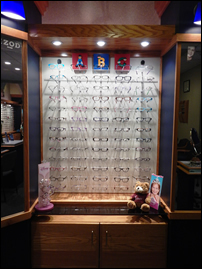 Our Optical Center maintains an inventory of over 1,500 frame styles that incorporate the latest technology in frame wearability, durability and fashion. Leading designer names such as Silhouette, Ted Baker, iGreen, Ray-Ban, Lulu Guiness, Versace, Juicy Couture and Maui Jim complement a wide variety of quality frames to fit any budget needs. From traditional to classic, safety wear to sports wear, from children to adults, our opticians are sure to have a frame to fit your personal style! Varilux and other progressive (no-line) bifocals. Hi-Index (super thin & light) lenses for strong prescriptions. Polycarbonate (strongest & safest material available) lenses. Crizal Anti-Reflection Lenses (For computer use and night driving). OSHA approved safety eyewear including Wiley X. Prescription and non-prescription sunglasses and polarized lenses (filters glare). 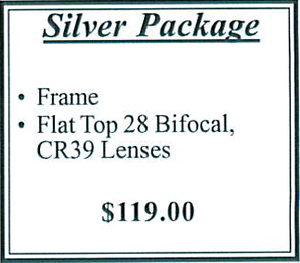 Complete value packages (frames and lenses). Personalized attention for selection of eyewear. 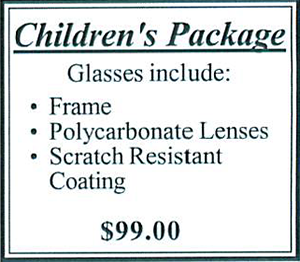 Fulfillment of any eyeglass prescription. 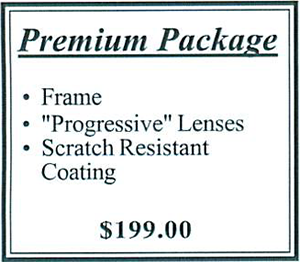 Full service on-site lens finishing lab. 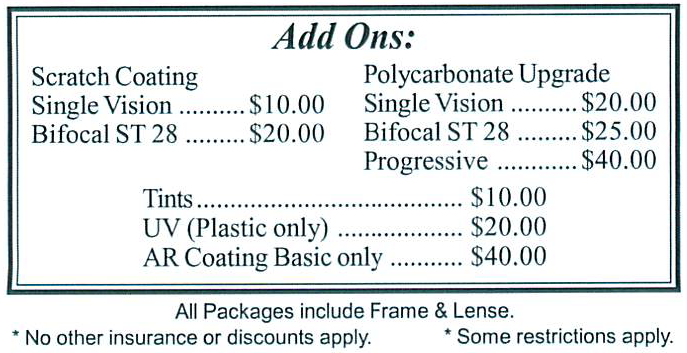 Lens tinting available on the premises. Lifetime complimentary adjustments, repairs and lens cleaning. We accept Mastercard, Visa, Discover, and Care Credit. 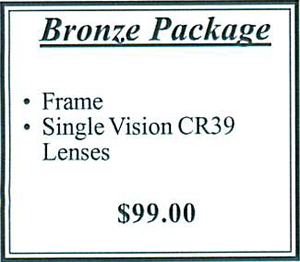 Check out our optical packages!